Brand New Bluetooth Headset Wireless | Universal Bluetooth Headset Retail And Sholesale Here, Low Price And Fast Shipping! We are professional enterprise manufacturer & supplier of a complete range of Universal Bluetooth Headset. Our top quality Bluetooth Headset are based on years of research and development and under the guideline of ISO9001-2000 quality system and CE and UL certified. Brand new Bluetooth V2.0 Wireless Headset. Ultra fashion, compact and light-weight design. Come with two replacement covers (Black and red), change its appearance anytime, and make you feel like to hold three beautiful headsets. It is design for all Bluetooth V2.0 enabled cell phones / PDA/ PC or Bluetooth V2.0 enabled other devices. 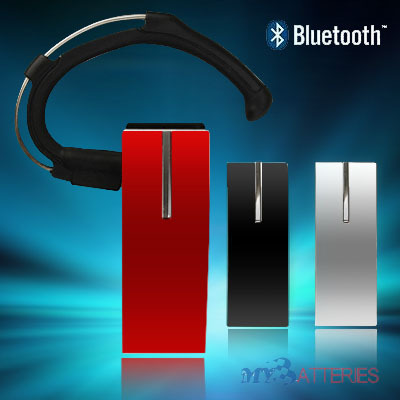 Supported Bluetooth headset and hands-free profiles, use conveniently whenever working or relaxing. Use & Pair this with your Bluetooth installed PC/Notebook; you could call and talk via Skype or other internet call systems at very low cost! Advanced technologies in Echo cancellation & Noise reduction insure the good sound quality. Function:Last Number Redial / Voice Dial, Answer/End / Reject calls, volume control. Standby Time: approx. 100 - 150hours.